Lori is primarily responsible for client relations and day-to-day operations. With over nine years of financial services experience, Lori brings a strong knowledge base to Beacon Pointe clients in helping with all their operational needs. 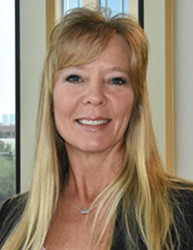 Prior to joining Beacon Pointe, Lori worked for an independent wealth management office in Dallas as a Registered Account Associate. She loves the outdoors, riding motorcycles, and spending time with her family.